ATHENS, Ga. – The 60th-ranked University of Utah men’s tennis team (1-1) suffered its first loss of the season Sunday against No. 8 Georgia (2-0), 4-0 in the ITA Kick-Off Championship Game. Utah dropped the doubles point, but senior captain Slim Hamza and freshman Freddie McGeehan earned a 6-3 upset of the 34th ranked doubles tandem of Eric Diaz and Austin Smith. In singles play, Junior Matt Cowley was defeated by No. 32 Wayne Montgomery, 6-0, 6-1, while sophomore Parker McGuiness fell to No. 101 Nick Wood, 6-2, 6-0. The Georgia Bulldogs clinched the overall match when No. 11 Austin Smith defeated senior Cedric Willems 6-3, 6-4. Senior Slim Hamza started the third set, but was unable to finish his singles match at No.1 singles against No. 15 ranked Nathan Pasha when the dual match was clinched. 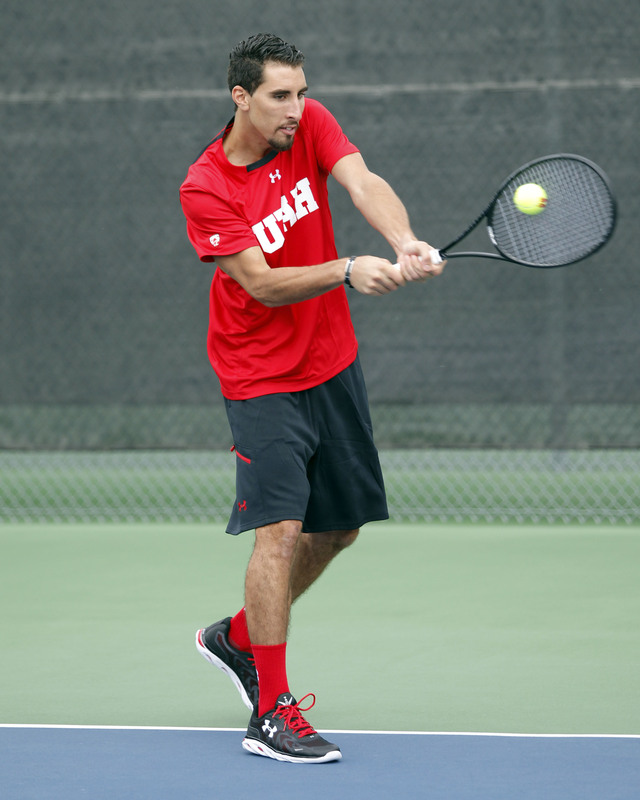 Utah’s home opener at the Eccles Tennis Center is on Saturday, Jan. 31. The Utes will host Montana State at 12 p.m. and Utah State at 5 p.m. MT. This entry was posted in Schedule/Results and tagged Cedric Willems, Freddie McGeehan, Georgia, ITA Kick-Off Weekend, Johan Jonhagen, Matt Cowley, Parker McGuiness, Roeland Brateanu, Santiago Sierra, Slim Hamza, Utah Utes. Bookmark the permalink.